He was born in Barcelona in the home of the renowned writer and pastor José M. Martínez. He graduated in medicine from the University of Barcelona (1978) and he specialized in Psychiatry. He completed his training under the mentoring of Dr. Monty Barker of Bristol, England. 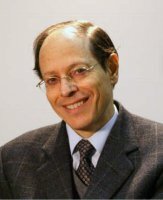 Currently he holds a private practice with a special focus on psychosomatic medicine and existential psychotherapy, following the approach of Dr. Paul Tournier's Medicine of the whole Person. Besides his medical practice, he develops an extensive work in Europe as a lecturer and teacher. He has been a guest speaker in many countries on topics like “Mind and faith”, “The therapeutic value of the Gospel in emotional problems”, “Temperament and spirituality”, “Taking care of yourself”, “Conflict relationships and forgiveness”, among others. His lecturing and Bible teaching have been largely influential on Christian doctors through the work of the International Christian Medical and Dental Association (ICMDA) that appointed him as one of its vice presidents (1998-2006). Closely involved with student work since his student days, he was president of the Grupos Bíblicos Universitarios (GBU - IFES) where he now serves as its Honorary President. He was also president of the Spanish Evangelical Alliance (1999-2009). He currently chairs the “Ravi Zacharias Foundation” in Spain. His role as a Christian leader started very early at a large Baptist church in Barcelona (calle Verdi) where he served as an elder for 24 years. At the personal invitation of Dr. John Stott he was one of the founding members of the London Institute for Contemporary Christianity (1982). Likewise he develops a teaching ministry on Pastoral Theology in various theological seminaries in Spain and Europe as well as through the European Leadership Forum (Counsellors Network). He currently devotes an increasing amount of his time to Bible exposition. He is a regular Bible teacher both in local churches and large interdenominational gatherings like Spring Harvest or the Keswick Convention in England. He has authored three books. His first one, Praying with the Grain: how your personality affects the way you pray, with a foreword by John Stott, has been translated into many languages. Along with the other two titles - Tracing the Rainbow and A Thorn in the Flesh – they make a trilogy that is highly valued as an instrument of encouragement and building up. In his most recent work (co-authored) Why I am not an atheist he deals with the question from the specific perspective of a psychiatrist. As a whole his books have been published in 16 languages. He makes a regular contribution with articles and papers at the web Christian Thought and the Spanish site Pensamiento Cristiano.